Such a fantastic style - love the pattern and texture! Lovely! 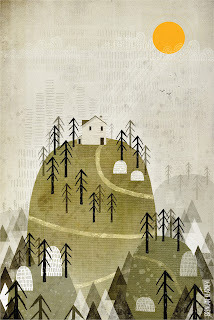 I like this new style very much :) Reminds me of Jon Klassen. Love this style especially like the texture. I really like how the colours are a bit desaturated. It creates a great feeling. i like your textural style and colors!